In this giveaway you can win a Digital Holga Ultimate Kit for Nikon or Canon DSLR from HolgaDirect. If you already "liked" both Facebook pages or you already are a follower on Twitter, you just need to leave a comment to this post. One comment per person please. Don’t forget to add your email address in the email field (it will not be visible to the public and it will only be used to notify you in case you are the winner). I will close all comments in one week and will randomly pick the winner. You will have the choice between Nikon or Canon mount. This giveaway is open to anyone and is not restricted to US residents only, everyone is welcomed to participate. An update of the already popular Holga Lens for Digital SLR Cameras has now been made available by Holga. 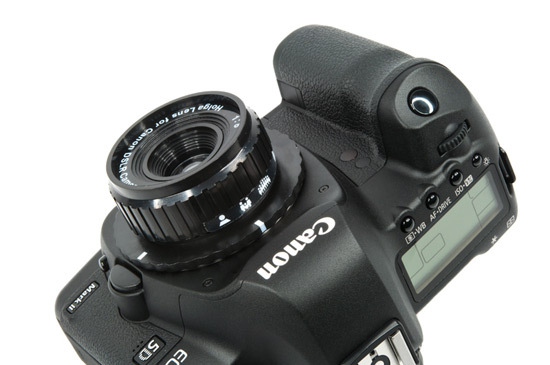 This low cost photographic lens enables Digital SLR photographers (currently Canon and Nikon) to mount a Holga Lens to their digital camera bodies for creative effect. The lenses come in either standard Canon mount (model HL-C) or Nikon mount (HL-N) and are available from the HolgaDirect online store. The Holga Lens for Digital SLR is a low cost plastic 60mm f/8 lens. Once mounted to a Canon or Nikon Digital SLR it enables the Digital Photographer to closely reproduce the characteristic Holga look previously only achievable using Holga film cameras. This product is designed to appeal to Digital Photographers who are interested in alternative creative photographic methods and images. No additional modification is required to the camera other than the mounting of the Holga Lens. This update to the lens adds increased Holga like vignetting and soft focus properties to the images created. These effects were more subtle in the first version of the lenses and so have been made more prominent after customer feedback. The standard Holga method of focusing (Zone Focus method) is employed as per the standard Holga film camera. In addition once the lens is mounted to a Digital SLR additional Holga lenses and accessories can be added for more creative effects. These include the Holga Wide Angle Lens (HW-05), Holga Telephoto Lens (HT-25), Holga Close-Up Lenses (CLS-1) and Holga Macro Lenses (MLS-1). HolgaDirect is a company based in Hong Kong specializing in Holga Cameras and Accessories. The aims of the company are to provide information and resources to existing Holga Photographers and those interested in this field of photography as well as hosting an online store for the purchase of Holga products. This entry was posted in Holga and tagged Photo Rumors giveaway. Bookmark the permalink. Both comments and trackbacks are currently closed. because I want my 900$ camera to take pictures like a 25$ camera for the small fee of 71$! I’d love to have one of these to try out on my next Photography Meetup group photoshoot. Looks like it would be a cool piece to try out and for getting softer images. I need a jumpstart for photography, this is a pretty good place to kickstart it back up. winning this will make me convert my Fuji S5 to an IR DSLR. This’d be great for my Nikon! Fantastic! I’d love to win. Have been eyeing these lenses off for a while and looking at some test shots. They look incredibly cool. Would love to try one on the D7000! Love new gear for play with. Just joint! hope I can win this! yeah so I had no idea what a holga lense was till I saw this contest. I hope I win one! Let’s see how this lens runs…..
I’ve been wanting one of these. What better way to get one?! 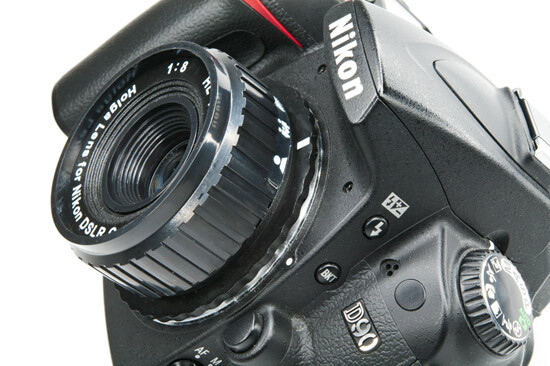 well here’s hoping i get one, would be great on my D90! Do I still stand a chance? I’ve wanted to get one of these since the first time I saw one. I have a pinhole adapter for my Sinars, and this would be a nice addition to arsenal. Nice gadget for my Nikon! Wow. Count me in please.